Many tourists who come, but few dare to approach. This is the Amityville House, home of the most sinister in the U.S. that inspired the film 'Amityville Horror'. Horror film 'Paranormal Activity', it's over! 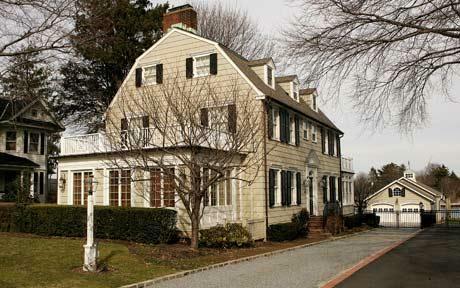 Amityville is a village in Long Island, New York State, USA. A Dutch colonial style duplex located at 112 Ocean Avenue, is home of the most memorable villagers. In December 1975, the couple married George Lutz, Kathy Lutz and their three children moved into a new house at 112 Ocean Avenue, Amityville. This family only lasted 28 days in the house. They claim to be disturbed demons that terrorized all family members. Terror is terrible, from sightings, trance, until a physical disruption of the George, Kathy and their children. Apparently the previous year, the house was inhabited by DeFeo family. Their eldest son, Ronald DeFeo Jr. shot and killed both parents and 4 siblings. Ronald is now in prison on a guilty verdict and planned mass murder. All believers, Ronald left the curious spirits in the house. What Lutz family experienced in 1977 and then used as a novel based on interviews with George Lutz. 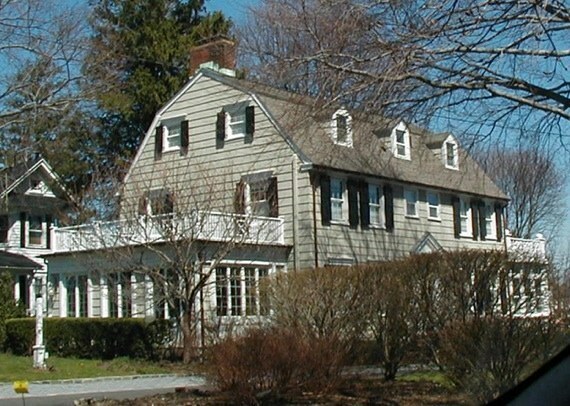 The movie followed in 1979 with the title 'The Amityville Horror' and a number of other films. 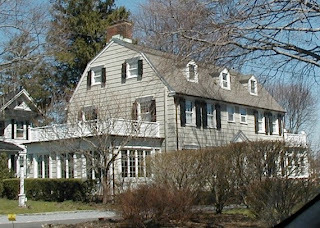 The latest is 'The Amityville Haunting' in 2005. The film 'Paranormal Activity' hard-selling, made ​​with a similar plot, there is a family moved into a new house and disturbed spirits. The difference, Amityville was a real story! Lutz, assisted by his friend, Tim Yancey even end up making official website Amityville Horror. This site contains a collection of interviews and various related documentation terror experienced by Lutz. Lutz died on May 8, 2006. 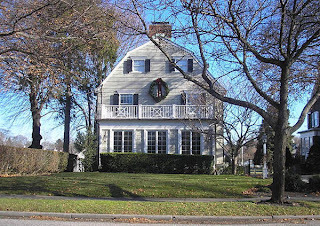 Since 1977 until now, tourists flock to the Amityville Horror and become the most popular tourist destinations in the United States. They are curious and look at the house from across the street, but to get into the house, they might think about it. However, the local village government does not like this. They purposely did not include mass murder by DeFeo in village history, but it does not work to stem the arrival of tourists. Meanwhile, the three families occupants of the house after the Lutz family, said there was never any interference. From the website Amityville Files, which is visited by TravelOc, Cromarty family trying to change the address of the house to confuse tourists. While O'Neil family who stayed after Cromarty, replacing two quarter circle shaped windows on the 3rd floor. these windows from a distance looks like an angry eye. Long Island newspaper, Newsday, August 21, 2010 edition, which was seen by TravelOc said, Amityville House for sale by owner in August, 2010. That's when the spooky house was opened to the public, the result is hundreds of tourists lining up long enough to see the contents of the house. However, the bedroom on the 2nd floor, where a De Feo slaughtered and the basement, visitors are not invasive, somehow. A media interview with Lutz in 2002, became the most memorable speech. "I pray that no one else had happened. Hardest thing is, you can not tell to anyone, could not ask for anyone, no one wants to talk to, no one would understand. You become a stranger, "said Lutz. 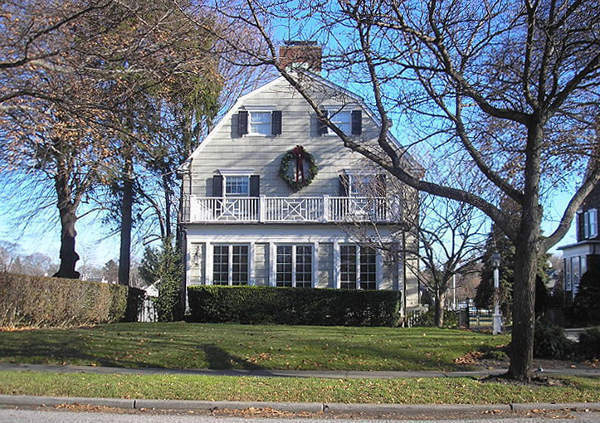 Still curious about traveling to Amityville? 0 Respones to "Amityville House, The Most Creepy House in USA"